ATTENTION: Worldwide Audio Artists Please submit your sound art and/or music in any genre – experimental to pop – to our show. We seek original works that creatively manipulate the audio files of non-human, urban animal sounds. We encourage the use of the archive of animal vocalizations that are available at the Borror Lab of Bioacoustics at the Ohio State University. 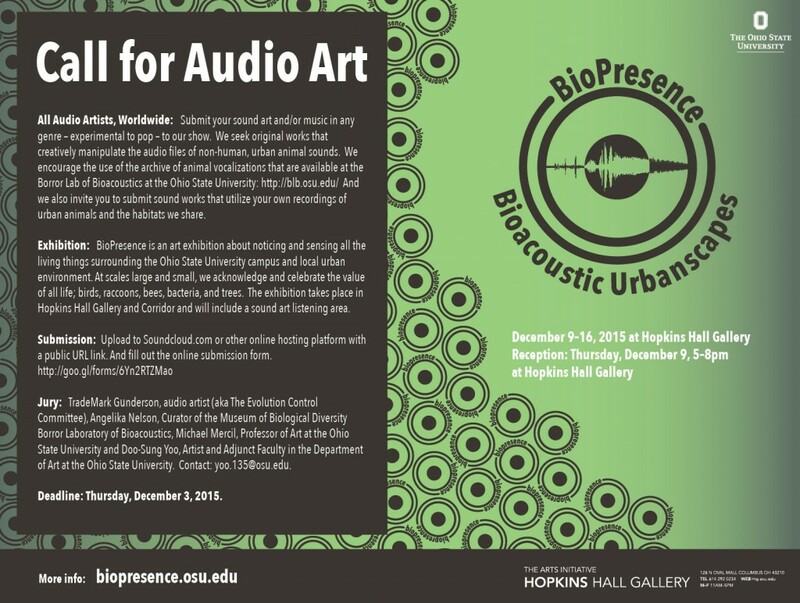 And we also invite you to submit sound works that utilize your own recordings of urban animals and the habitats we share. Posted by youngs.6@osu.edu at 11:24am November 8, 2015 Posted in art, blog, music, news. Bookmark the permalink.